A Farmington Hills Law Firm Representing clients in Novi, Royal Oak, Plymouth, Canton, Livonia, and throughout Metro Detroit. Michigan drug charges carry long-term, potentially life altering consequences. Along with the criminal penalties and potential loss of your drivers license, comes the stigma of a drug crime conviction that may adversely affect your employment opportunities for the rest of your life. There’s no such thing as a minor drug charge. 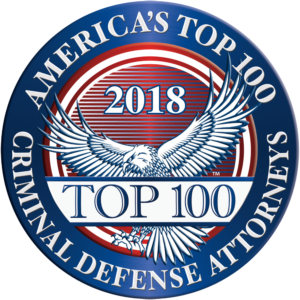 Whether you’ve been charged with misdemeanor possession of marijuana or a felony controlled substance charge, you should be represented by an experienced drug crimes defense lawyer. 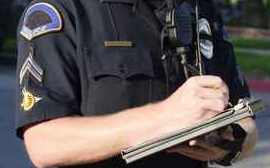 Do you know if your Fourth Amendment rights were violated? Do you know the law regarding search warrants, confidential informants and probable cause? Do you how to prevent unlawfully obtained evidence from being used against you? If you don’t, you need a lawyer defending you who does: Jeffrey Buehner. Mr. Buehner is a former assistant prosecutor for the Oakland County Prosecutor’s Office where he was assigned as a special prosecutor to the Narcotics Unit tasked with prosecuting the most high-profile and complex drug cases. Additionally, Mr. Buehner served as a legal instructor at the Oakland Police Academy where he taught 4th Amendment search and seizure law. Who better to defend your drug charges than a former narcotics prosecutor? When faced with a drug charge, you want a lawyer who understands Michigan’s drug laws and who understands your 4th Amendment rights. The police search that resulted in the seizure of illegal drugs is subject to the 4th Amendment’s protections against unlawful searches and seizures. 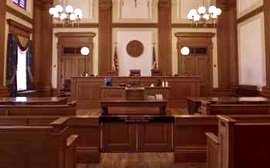 A case that may appear airtight could actually end being dismissed by a judge if the evidence was obtained illegally. We’ve had numerous cases dismissed as a result of illegal searches. If there’s a potential defense, we can find it. When you’ve been arrested for a drug charge, you are at your most vulnerable. You are scared, confused and dealing with armed police officers or agents. You are not in a fair bargaining position and the police know that. That’s why the police most often seek cooperation from defendants immediately after they are arrested. The police use every tactic you can conceive of, from promising that your charges will go away, to threatening you with harsher charges if you don’t cooperate immediately. Understand one very simple rule: the police are not your friends and they aren’t concerned about your best interests. It may be possible to work out some type of resolution to your charges before they end up in court, but you absolutely need an attorney to do your negotiating with the police. The promises a police officer makes to you are all but worthless without an attorney. Most importantly, you will be waiving your 5th amendment right to remain silent if you speak with the police. 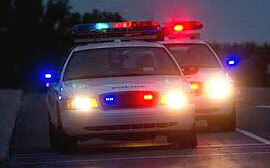 If the police truly want your cooperation, let us do the negotiating for you. A drug crime conviction carries a mandatory driver’s license suspension. 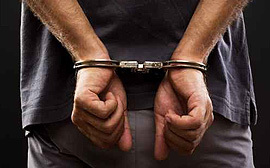 A first offense conviction results in a 6 month driver’s license suspension. A second (or more) conviction within a 7 year period results in a 1 year driver’s license suspension. There are, however, ways that you may be able to reduce or completely avoid the license suspension. ‘7411’ is the shorthand reference to Michigan statute MCL 333.7411. This law authorizes a judge to accept a defendant’s guilty plea without the plea being entered on the defendant’s criminal record. If the defendant completes probation without violating the terms and conditions of probation, the charge gets dismissed and, despite a guilty plea, no license sanctions will be imposed because there is no conviction. There are no age restrictions for 7411, but you only get to use 7411 once, so if you’ve received 7411 status previously, you can’t get it again. ‘HYTA’ (Holmes Youthful Trainee Act) is another statute that operates basically like 7411 in that no formal conviction enters despite a guilty plea. HYTA, however, is restricted to individuals who are 17 or older but under the age of 21. If you successfully complete probation, no driver’s license suspension will result. Convincing the judge and/or the prosecutor to agree to keep your record clean requires convincing them that you are deserving of such a break. We’ve helped keep both felony and misdemeanor drug convictions off of many of our client’s record. We can help you, too. Give us a call for a free consultation with an experienced Michigan drug crime defense lawyer. Call (248) 865-9640 or fill out our Free Consultation form.